This WEB-site is created in course of the Open Society Institute 1998-2000 International Policy Fellowship by Andrey FILCHENKO. The target area of my work is research and public advocacy of Indigenous Peoples of western Siberia. The Fellowship project was entitled "Researching the Prerequisites for Preservation of Indigenous Languages and Cultures in Western Siberia". The project's aim is "... advocating the rights of the indigenous population of Siberia, who can be regarded as "traditionally or historically disadvantaged" due to the assimilation policies discriminatory in their outcomes, which continue to destroy their land and threaten their culture for the sake of natural resource exploration, violating a number of rights: to exist as a people; to self determination; to education in mother tongue and traditional culture; to health and more." The project seeks to "... promote the Humanitarian and Governmental Agencies' practical involvement in activities aimed at preserving and reviving endangered languages and cultures and protecting indigenous peoples, undergo some training, participate in the OSI seminars conducted by the International Management Center in Budapest, co-operate with OSI-Novosibirsk, and held meetings with Tomsk researchers and the indigenous culture community, developing recommendations for Soros foundations network assistance to create reference and teaching materials in endangered indigenous languages and lobby for the protection of indigenous peoples and cultures." Currently there are around 6,500 languages spoken world-wide, two-thirds of which are under threat of extinction in the next 30-50 years. 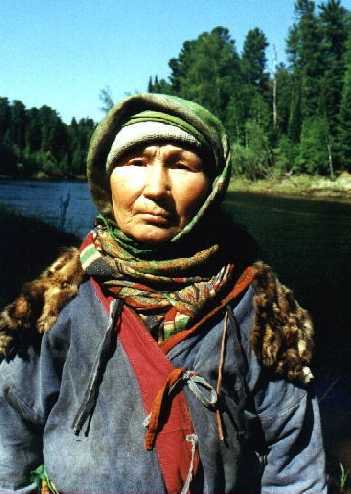 Majority of the Indigenous Languages of Siberia are endangered.